China, as we know it today, would not exist without the Han Dynasty. About two millenniums ago, its emperors ruled for over 400 years, and yet, few visible remains of this period exist above ground. Underground, however, it's a different story. 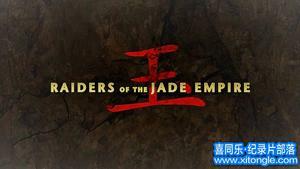 Join a team of archaeologists as they enter the royal tombs of three emperors spanning the reign of the Han Dynasty. By excavating these sites, they hope to further our knowledge of their wealth, their beliefs, their quest for immortality, and how their culture and philosophy shaped modern China. GMT+8, 2019-4-23 22:55 , Processed in 0.082193 second(s), 21 queries .